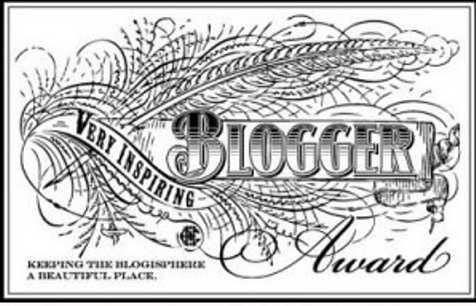 Very Inspiring Blogger Award | Oh, the Places We See . . .
Bill Mowry, who writes the blog MowryJournal.com, shares his views on a variety of subjects as well as some of the recipes his wife Velda creates in the kitchen. He’s nominated me for the Very Inspiring Blogger Award, but actually his blog inspires me to keep reading not just his blog but that of others. Perhaps I should start a new blog entitled “Oh, the people I’ve met through blogging” because I’m living vicariously through many of them and their adventures. Thanks again for this nomination. The rules of the award are as follows, but I’ve chosen to alter them a bit. 2. Share 7 interesting things about yourself. 3. Nominate 7 bloggers you admire. 4. Leave a comment on each of the blogs letting them know they have been nominated. Instead of 7 interesting things about myself, my husband (who helps me write our blog) and I want to share 7 places we’ve seen that have inspired us! Each place holds a special memory — and we’d love to return to any or all. The town of Cobh (Queensland) in Cork, Ireland — the last port of call for the RMS Titanic and a lovely, quiet harbor town where cruise ships dock for the scenery and the historical tours. Towering above the harbor is St. Coleman’s Cathedral (Cobh Cathedral) with its carillon of 47 bells. Impressive. Big Sur — Drive along California’s Highway 1 for commanding scenery of high cliffs that meet the crashing surf head-on. The Thamel — Walk carefully through this teeming shopping district in Kathmandhu where motorcycles swerve through narrow streets barely missing shoppers searching for pashminas, gemstones, and carved Buddhas to take back home. The Raffles Hotel in Singapore where, after a long day of touring, you can rest your elbows at the Long Bar and sip an original Singapore Sling. Arrive before sunset at Mallory Square in Key West to watch the one-man band, the guy with the cats, and the magicians before toasting sundown while applauding the end of another glorious day with fellow revelers. Drive almost anywhere on Prince Edward Island, Nova Scotia, and you’ll be fascinated by the verdant fields and the blue, blue, blue of the ocean. Not only that, you’ll want to read Anne of Green Gables if you missed it as a kid! Plan an extra day or at least stay ’til they close at the Hermitage in St. Petersburg, Russia. Even if they never hung one piece of the fabulous world-renowned art gathered over time and protected during WWII, you would be in awe of the architecture, interior decor, and simply amazing craftsmanship. Finally, I’d like to thank MowryJournal.com again for this nomination and let you readers know that my favorite post on that blog is entitled “Shrimp Boil” which you can access by clicking here. Terrific pictures and a recipe to copy — all reminding me of good times in Baton Rouge and Denham Springs, Louisiana, and our family reunions. We, too, cover the table with paper; toss the shrimp, crabs, corn, and potatoes in a pile; and commence peelin’ and eatin’ ’til the juice runs down our arms! Let the good times roll! This entry was posted in Destination, Travel and tagged awards. Bookmark the permalink. Congratulations on your award. It’s fun to get to know you through your traveling, it says a lot. Thanks so much. I think you may have started me on my way by nominating me for my first award! I appreciate your continued reading and commenting very much! Love it, keep on putting feeling to words. Congrats on your award! Great list of places traveled! Thanks! Should’ve written this blog years ago!! I appreciate your stopping by and commenting. Well, that is quite a list of favorite places. You just caused me to alter my travel wish list. Could be expensive! But, thanks. So many places, so little time! Have enjoyed your recent blogs about what’s happening right here in our own backyard, too! Congratulations, Rusha, to you and your husband, for this award! And thank you for mentioning me as one of the blogs that inspire you – I appreciate it! You are quite welcome. Your story has touched me. a Big congratulations to you Rusha!!!! Thanks so much. Your blog is one of my favorites, so it means a lot that you would continue to read and comment.